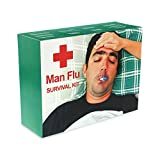 There’s no doubt now, I have full blown man flu. My gums and eyeballs ache and I awake at 3am with a mouth as dry as a vulture’s crotch. I sound like that famous Russian aviator Dimitri Chestikov. No.17 – troubleshoot and fix inefficient vacuum cleaner. I suspect her sympathies are wearing thin. I think she’s plotting to leave me outside the tipi for the jackals and the wolves when the snows come in earnest. I’m banished to the sickbay in the east wing of Lovegrove Towers and there’s a subtext to every question. I clear the vacuum cleaner hose using a kebab skewer and out falls a glittery fur ball containing a the remains of some plastic snowballs, twine, and several pieces of bark. Send lemons, honey, and more whiskey. Do you wonder what goes through the minds of spammers? No, me neither. All I was interested in earlier this week was how to stop iCloud Calendar spam. The latest hooks to arrive unwanted on my mobile devices are multiple invites in my calendar for fake RayBan sunglasses. They contain a mixture of Chinese and English characters and the purpose is obvious – click on these links and buy something. These arrived a few weeks after my mobile phone had received over 80 spam text messages from China in the space of about 15 minutes one Sunday morning. A couple of days later I was surprised to receive a call from my mobile provider to assure me that any charges incurred would be refunded. However, I had to check my next bill and remind them of that fact as the refund didn’t occur automatically, but they didn’t quibble and the refund was immediate. Anyway, back to the iCloud calendar spam. Whatever you do, don’t respond to the invite in your calendar in any way. This is the equivalent of clicking on the links in spam emails and simply acknowledges to the spammer that your account is active. It will only encourage more spam. The events will probably be linked so you won’t have to move each one individually. Now, any event notifications should arrive by email. Your email spam filter should be able to remove these before they even reach you. Got any additional tips or comments on the above? Please share them below.